There are a lot of factors that determine success versus failure. But it’s safe to say that people who commit to a process COMPLETELY are almost always successful. Complete commitment, in this case, means a lot of things; being totally coachable and willing to learn, participating fully in group training and personal training, embracing nutrition change and behavior change. Christine embodies complete commitment, which is why she has been able to accomplish impressive fitness and fat loss results in a short span of time. If you want to be successful in these areas, too, be like Christine. “I can’t say enough good things about Arena Fitness! I have never been one to work out or eat right nor did I ever have the motivation to do so. After having a baby last year I realized the extra weight is just not going to disappear and I was really feeling down about it. 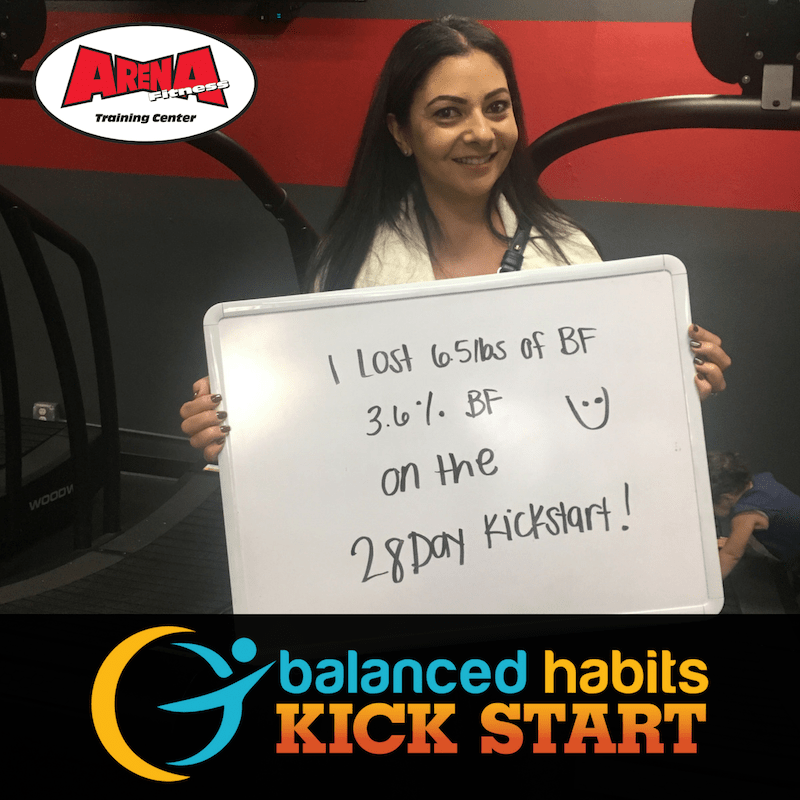 I decided to join Arena Fitness and their 28 day Kick Start program through reading reviews on Yelp. I had no idea what to expect. I lost 6.5 lbs in body fat and gained 3 lbs in muscle! It was such an amazing experience that taught me so much. Congratulations, Christine! Can’t wait to see what you accomplish next! Jonathan Aluzas is co-owner of Arena Fitness, a fitness center that offers group training in Encino as well as personal training in Northridge.